Ecke flow is an easy to assemble table, which can be transformed, moved and changed. Ecke flow tabletop is made of forbo® linoleum, which makes Ecke flow a robust, durable and contemporary table for young households. Ecke flow is easy to assemble without any tools or additional hardware. The five pieces of Ecke flow connect with each other with simple and yet tight joints which are made possible by precise fabrication. Each piece is reversible, which gives the possibility of having two colors available for use. Ecke flow tabletop piece is reversible, and available in standard combination of topside in black anthracite and underside in coal ash grey. 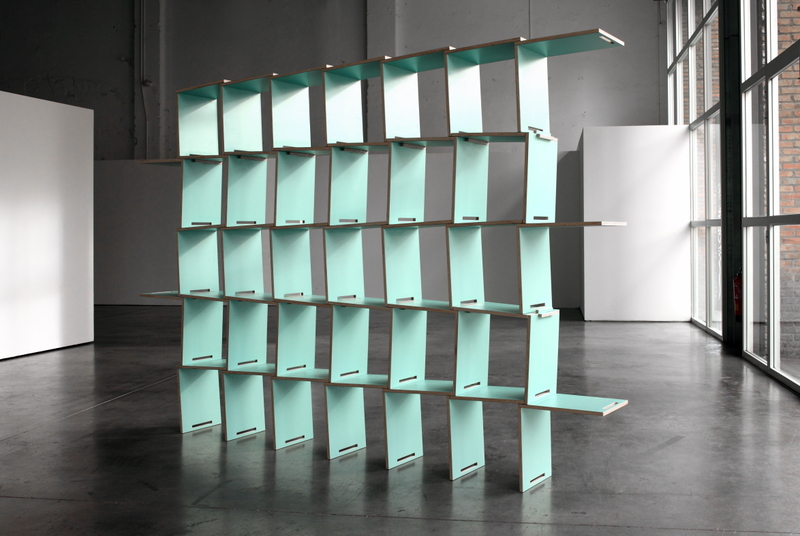 "L" is a modular shelving system based on a unique piece. Like fish scales, the modules are superimposed one after the other to generate a useful surface slightly inclined to prevent books from falling. This system allows for increased storage capacity by adding new modules. Assembled according to the taste of each user. Easy assembly using no screws or fasteners, almost as if it were a game. It is delivered disassembled. Materials: birch plywood, white laminate, organic oil-wax finish. Measurements: modules: 40 x 30 cm. A standard basic set includes 48 modules. This stool was designed for the new cocktail bar of the Venetian Restaurant Xemei based in Barcelona. From an initial idea of a comfortable seat, we proposed a hybrid object, in which the seat is as a sculpted piece that reveals the topography of the layers of wood that shaped it. The frame consists of four L-shaped profiles, each facing a different direction. 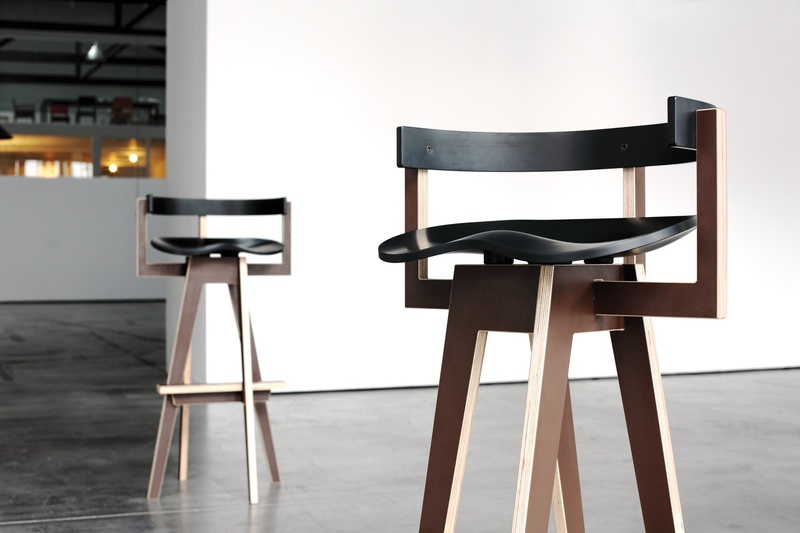 The stool is made of varnished birch-plywood legs with a corian seat in black or white. A Mediodesign classic. 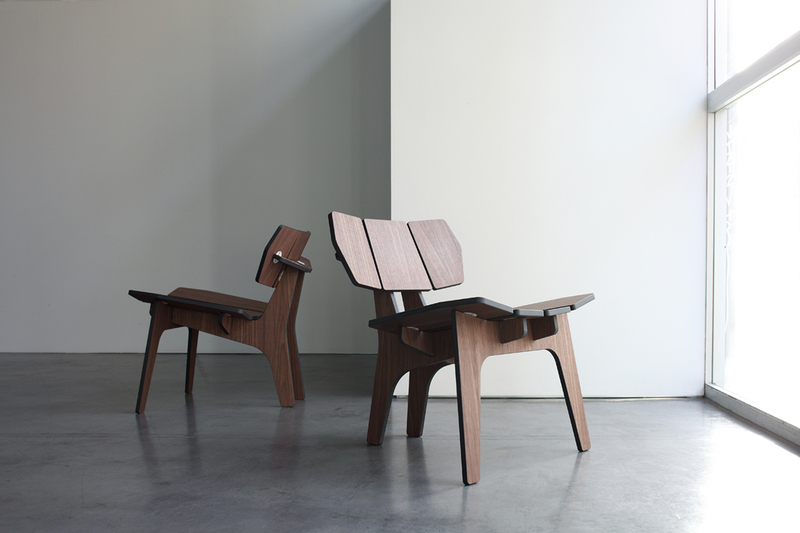 Sculptural, elegant and comfortable. Material: Finnish birch plywood. Finished with solvent-free varnish. Delivered assembled. 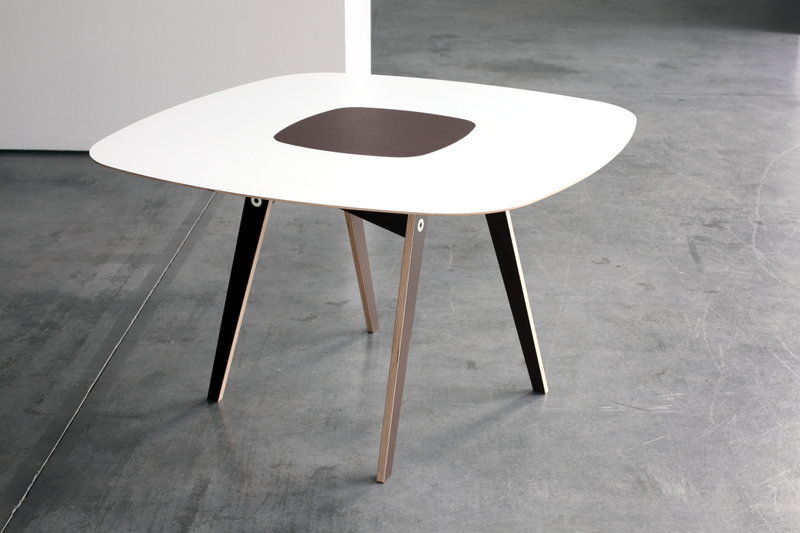 C table is a piece of smart geometry, balance and efficiency. 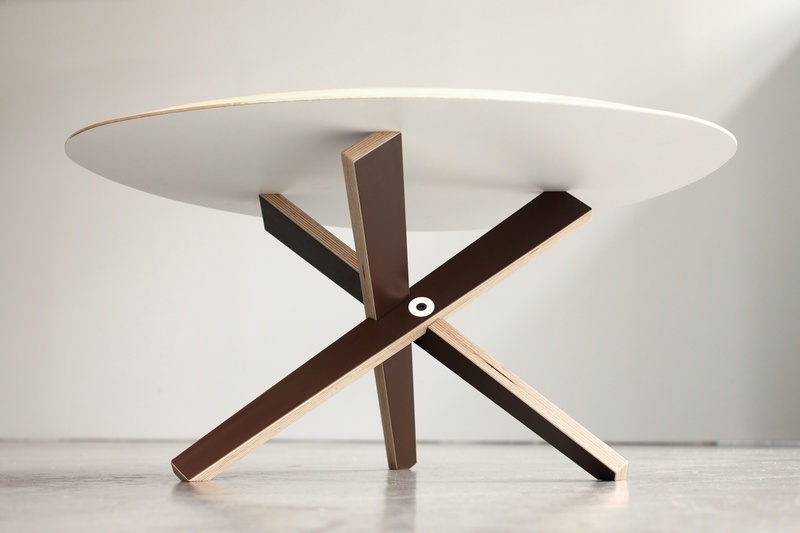 C is a coffee table that is stable, dynamic and easy to assemble. The characteristic angled legs and its elliptical board define a table of constrast, between right angles and rounded elements, between a serene horizontal plane and a dynamic leg construction. Precise cutting allows for efficient material use. Its shape, somewhere between a circle and a square, can seat up to eight people. 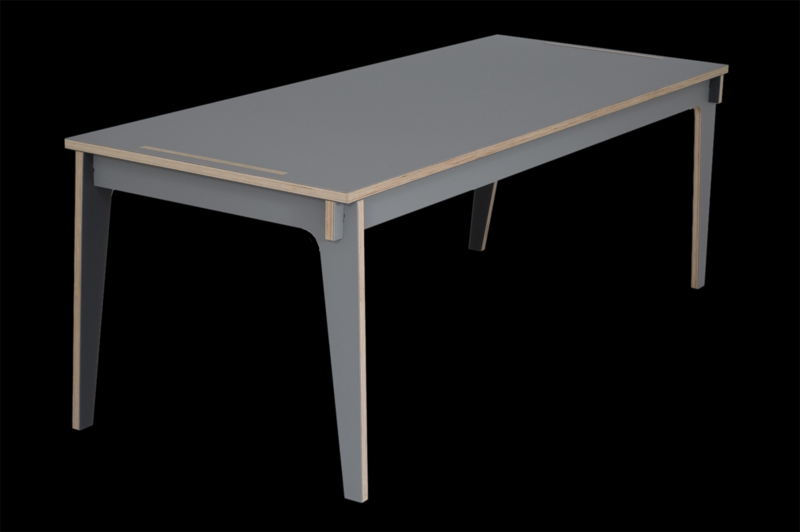 A piece of high thermal resistance is embedded on the surface of the table to withstand high temperatures of hot items, an expressive addition to the table. 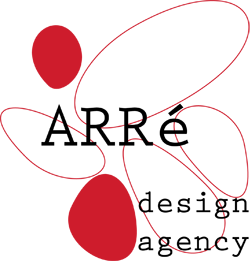 The legs are L-shaped and form a solid and stable pyramid. It comes disassembled and flat. Assembly takes but a few minutes and requires only four screws. Materials: birch plywood, white laminate, porcelain tile, satin finish on wood, stainless steel fittings.